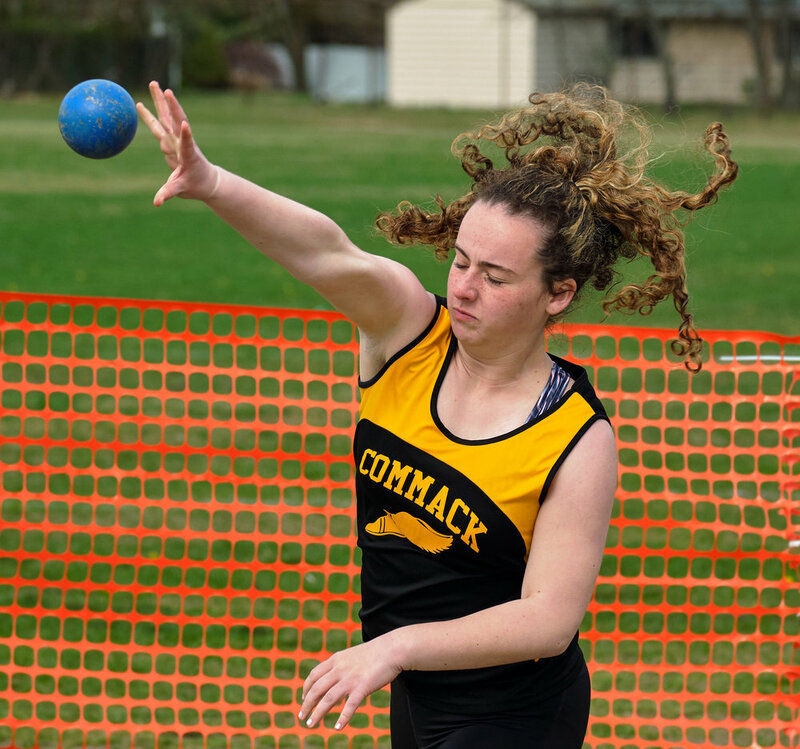 Caught up with the Commack girls track team at Monday's meet with Whitman. 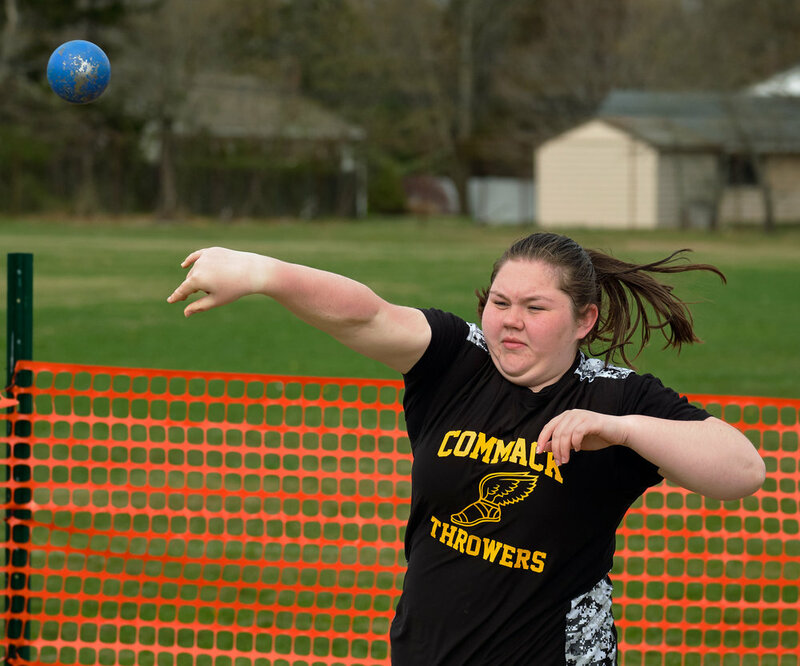 I was unable to get shots of the throwers at the last meet I covered so I figured this would be a good opportunity. 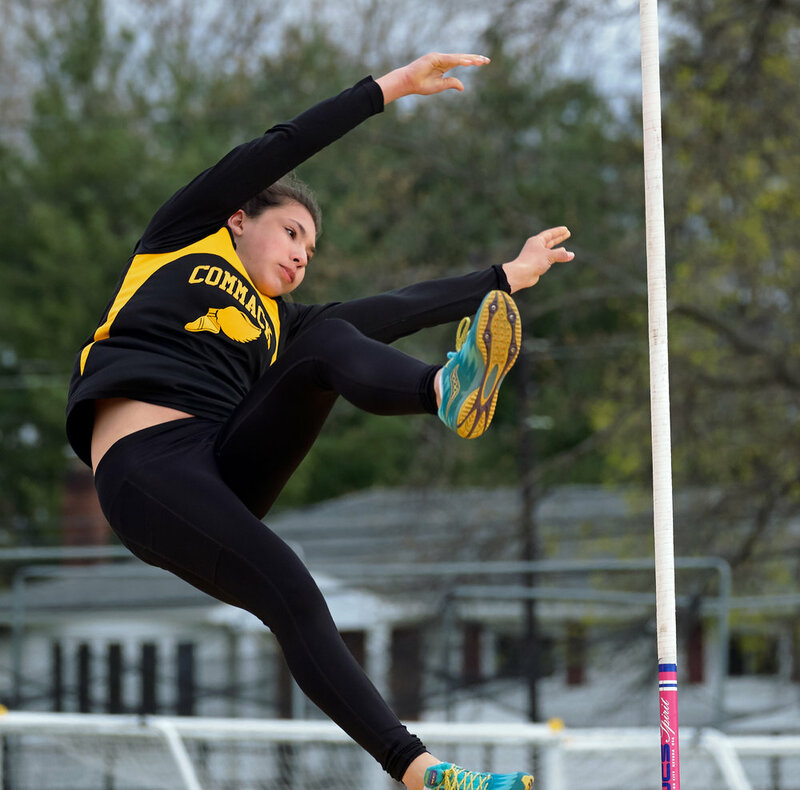 Got a few shots of some other athletes also, including a couple of pole vaulters. As you can see by all the coats, it was another chilly day. Hopefully the 40º weather is behind us at this point. 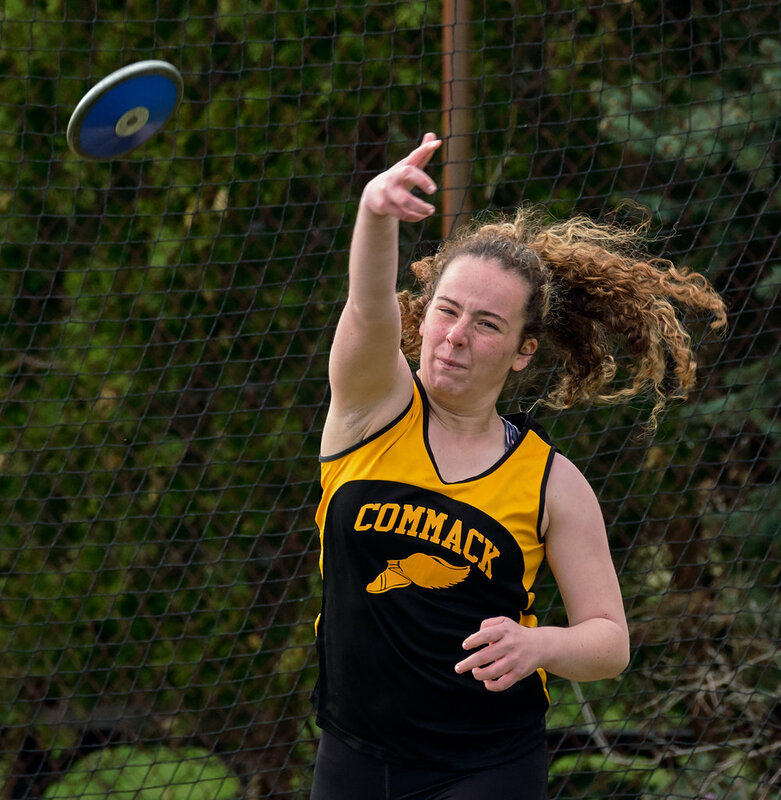 Photographing shot put is pretty straightforward. Exposure settings are the same as the other field sports. 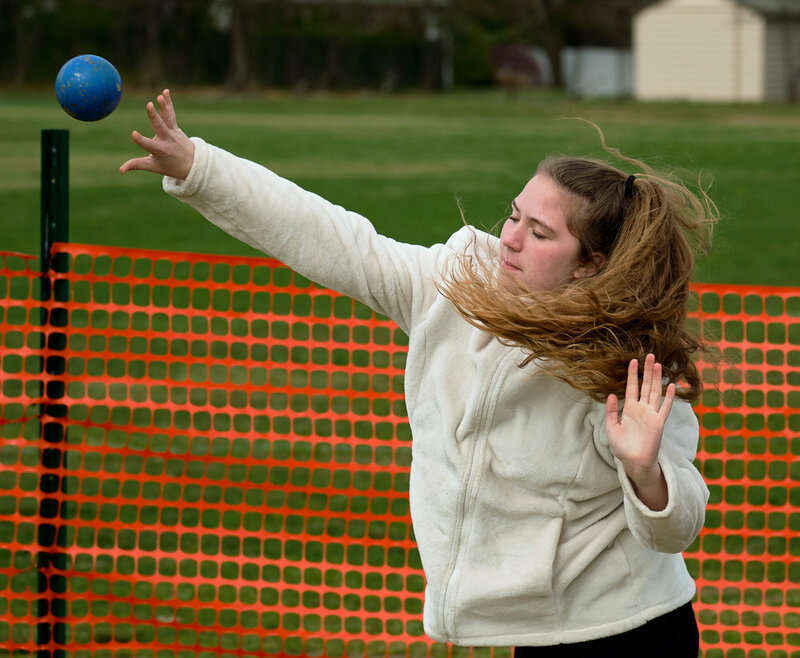 The biggest challenge is getting a clear view of the thrower and looking for a clean background. I shot from two angles - one, opposite the throwing circle and the other, adjacent to the throwing circle. 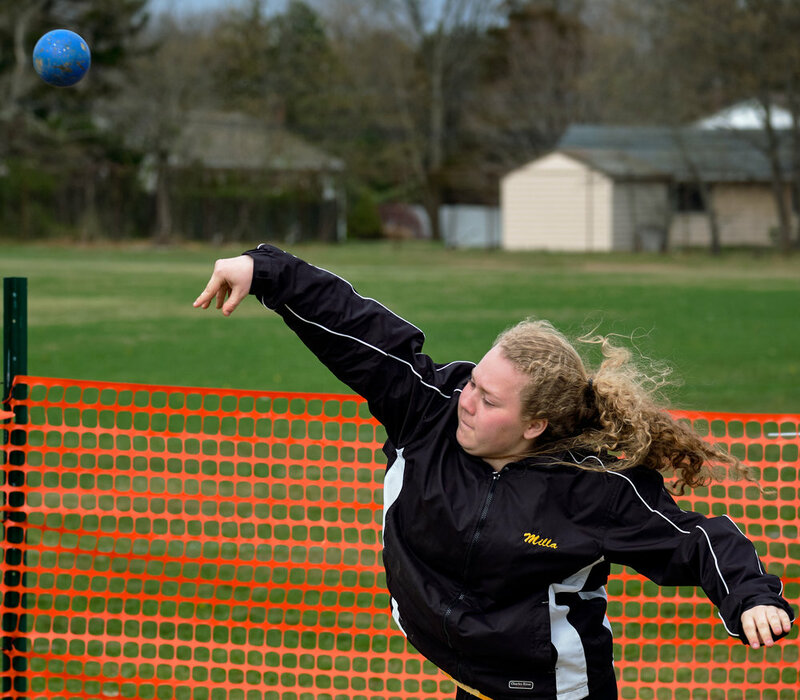 The position opposite the throwing circle is the safest place to shoot from since there's usually no one in your way. On this day, however the baseball field behind them had a game going so the background was filled with players and umps. The position adjacent to the circle is a bit more crowded with other athletes waiting their turn and, on our field, we have a lovely orange fence as a background (sigh). 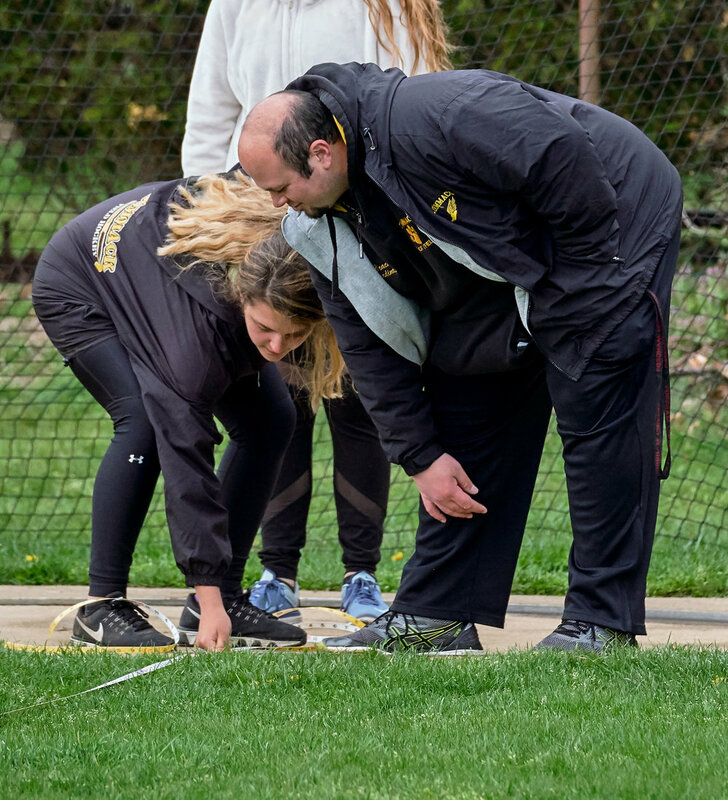 You want to keep in mind whether the thrower you're shooting is right or left handed; you may need to switch sides in order to prevent their arm from blocking their face. Photographing discus is a bit easier. I just get out at the end of the sector, making sure I'm far enough away not to get hit, and shoot directly at the thrower. Again, you may need to move to the left or right a bit depending upon which arm they throw with. 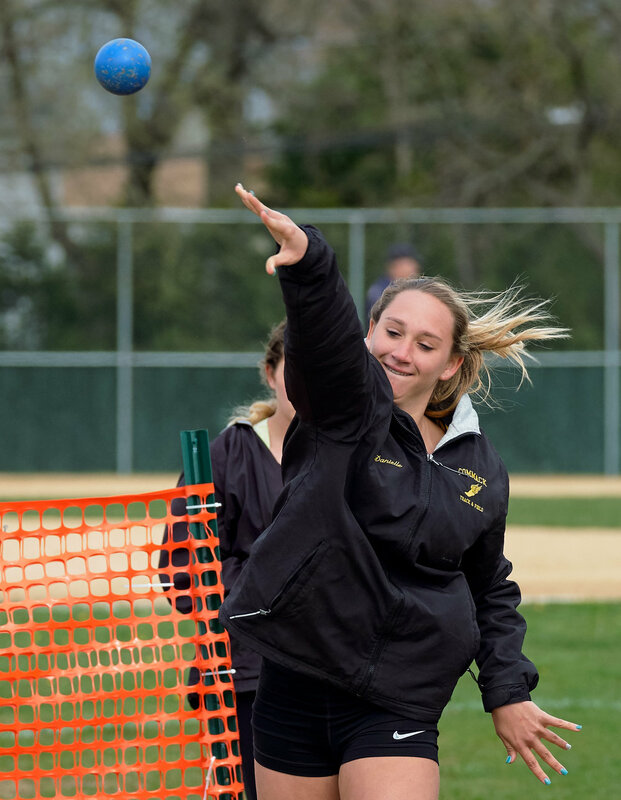 Also, at Commack, things can get a little exciting if there's a baseball game going on since you're just behind the outfield. 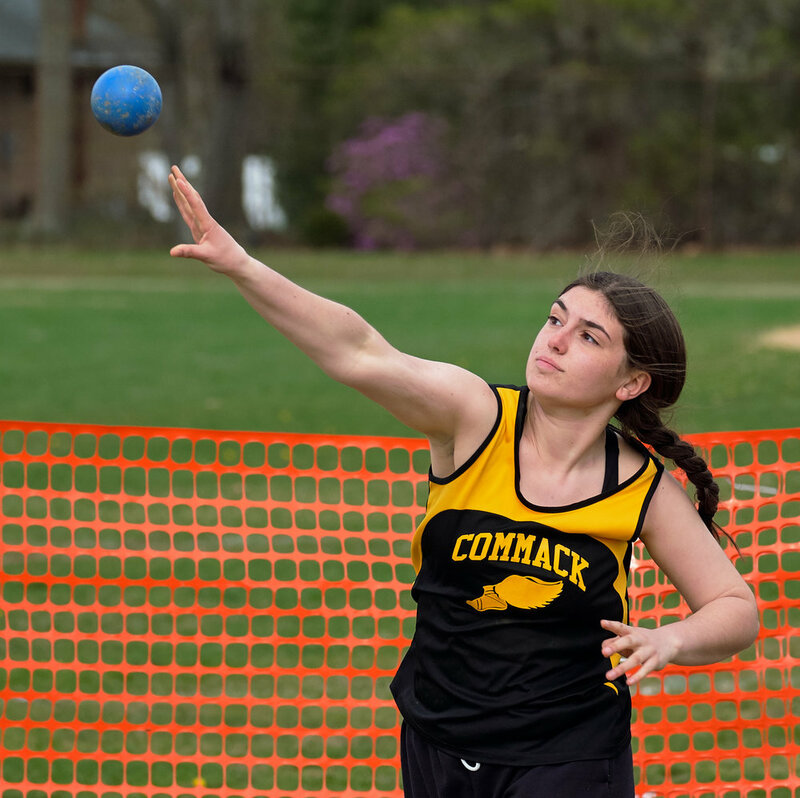 In both events, each athlete gets three throws and you want to make sure you shoot each one; at least some of your shots will be blocked by other athletes or you may have other issues with the backgrounds, etc. That's it for today. Shooting a concert tonight and a golf match tomorrow.